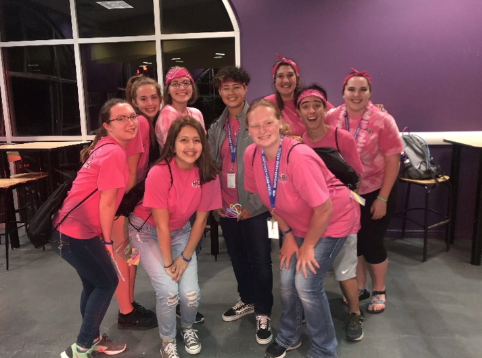 A brief look at my experience with a HOBY Leadership seminar and its family. The day came to stay with strangers for an entire weekend. What I was surprised to see were staff that didn’t look too much older than me. I found out they were all alumni of HOBY and the dates ranged from attending last year to 16 years ago. We were given different colored shirts for our group colors. We found our group leaders using animal noises to get us out of our shells and be comfortable with one another. Across 60 or so kids there was nothing but laughs and animals noise in front of smiles. Color groups: We were separated with people who were the same color leader as you. We had all taken a small survey when registering to show if you were either blue, green, yellow, or gold type of leader. I was a blue. All this meant was that I am the type of leader who feels empathetic for one another and keeps the team together. This helped me realize a lot about myself, including why I am such an emotional person who cared a lot. The speakers: Our speakers of the day were Bryan Yager, along with our panelist speakers Jim Everett and Claudia Suastegui. They all mostly spoke on how leaders can make a difference. No matter how low in life you are or what made you who you are today, you can make a difference. They showed me that one person can change the world. On the second day, we performed a community service project for a great organization that cares for women and children. It really opened up my eyes to the impact small projects can make in my community. Seeing how happy and thankful the residents were helped me realize that this is the kind of difference I want to make. Our service project was a great experience and I say if you ever get the chance to be a part of a project like this, big or small, I say go for it. You wont regret it. 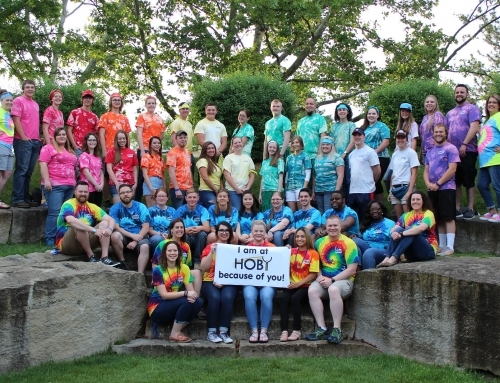 You Are not Alone: All HOBY leadership Seminars are different in their own special way. But when they say that you are now a part of the HOBY family that is spread across the world, they mean it. We participated in an activity that asked numerous questions about ourselves. Many that you’d never answer truthfully in a public setting. The staff created a safe space for us as ambassadors and many of the staff members even participated. This made the activity have even more impact. They showed us that we are not alone and may come from different backgrounds but all share similar stories. No matter who you are, believe me, you’ll be accepted in by this amazing family. 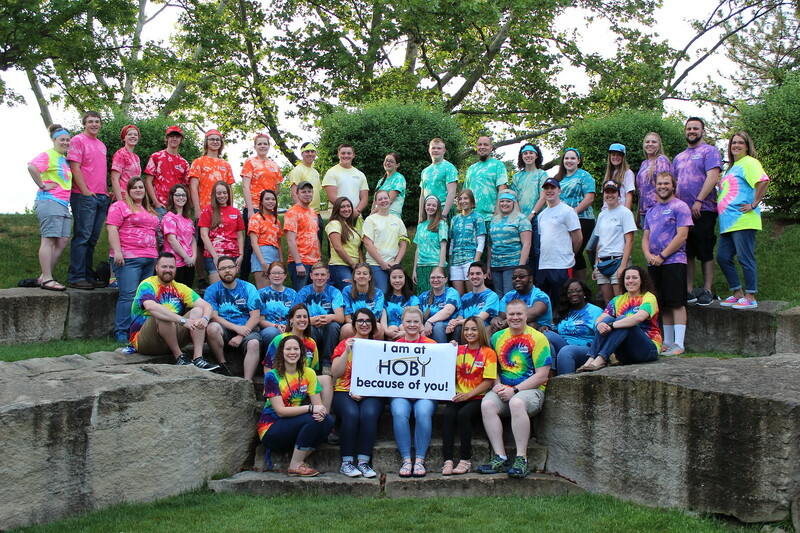 On my last day I felt very different about HOBY than I did before I arrived. The seminar showed me what kind of leader I am and what kind of leader I could become. I learned that my voice matters and I am a leader of today instead of tomorrow. I still can’t sum up my entire experience in less then a million words, but I can with one, unique. Need a life changing moment? HOBY was my life changing moment and it is still changing my life everyday. I am now volunteering more and working to reach over 100 hours of community service. I’m not only comfortable with other people, but I am now comfortable with myself. If you ever get the chance to attend a HOBY seminar, I say go for it. Be the change in your community. Show that there are still good things to life than being dragged with a phone in your face. Crystal is a 2018 HOBY Idaho alumna who is excited to continue Hugh O'Brian's mission and change the world!